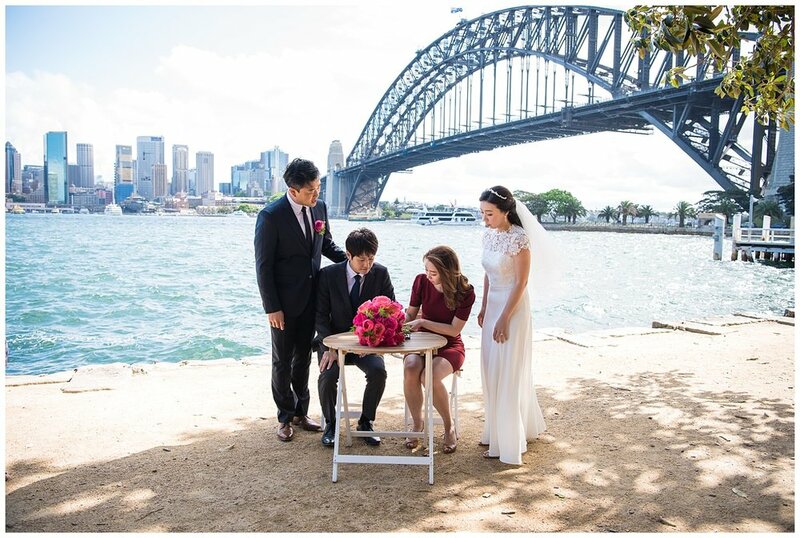 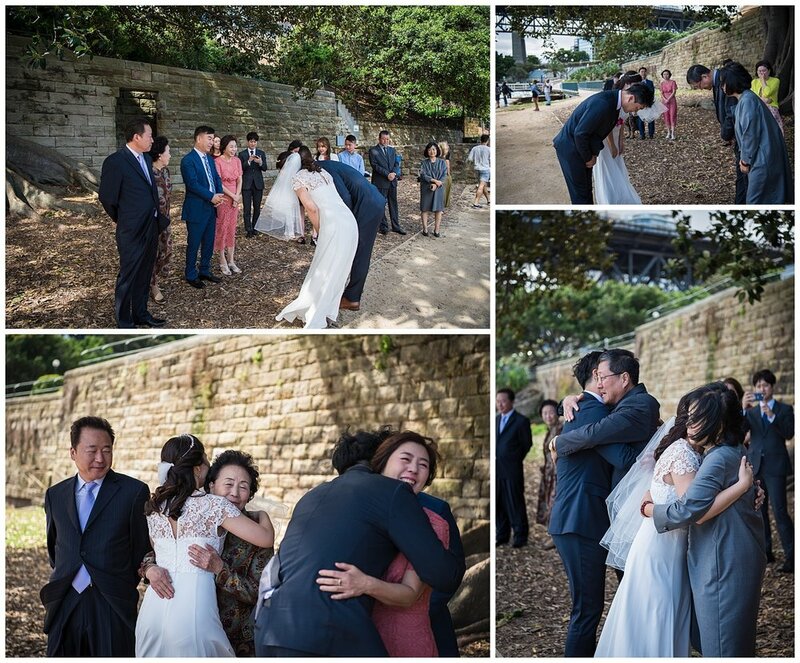 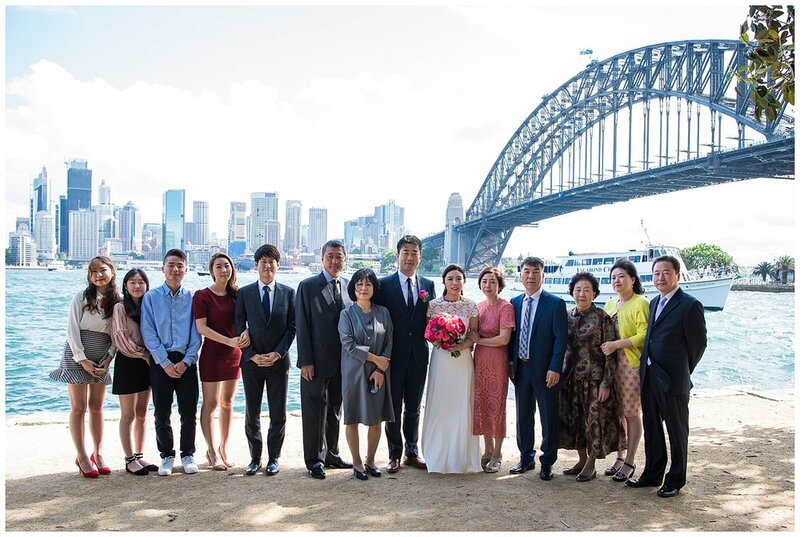 Elisabeth & Stephen choose to have a beautiful small and intimate ceremony on the Harbour, with only their immediate family as their witnesses. 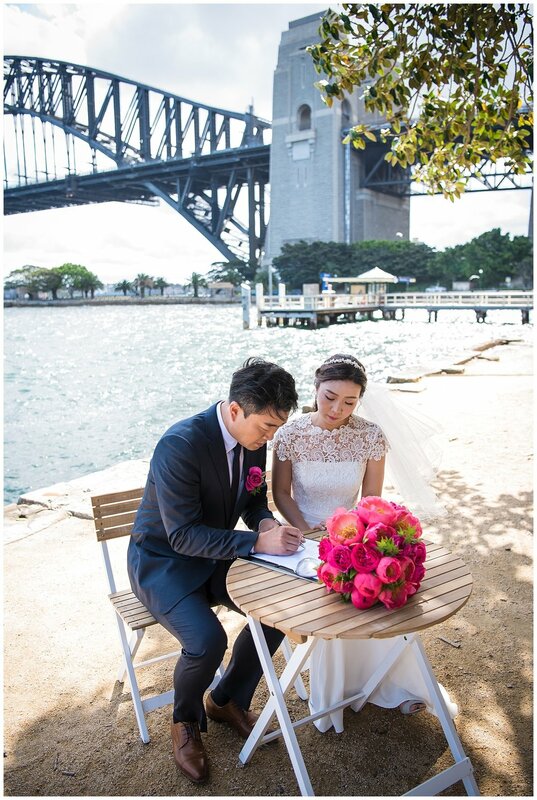 Both had family fly in from overseas or interstate for this small ceremony and they were all in owe of the stunning location they had picked. 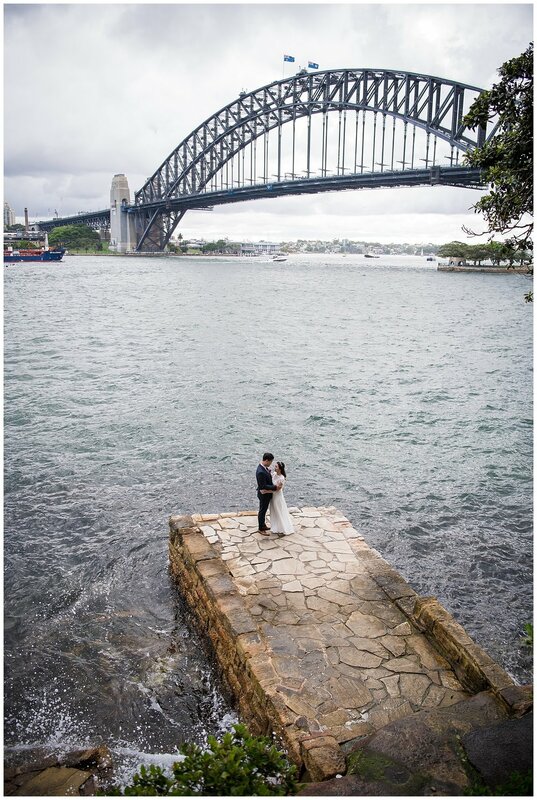 Kirribilli point right in front of the Sydney Harbour Bridge offers some of the most stunning views of our city. 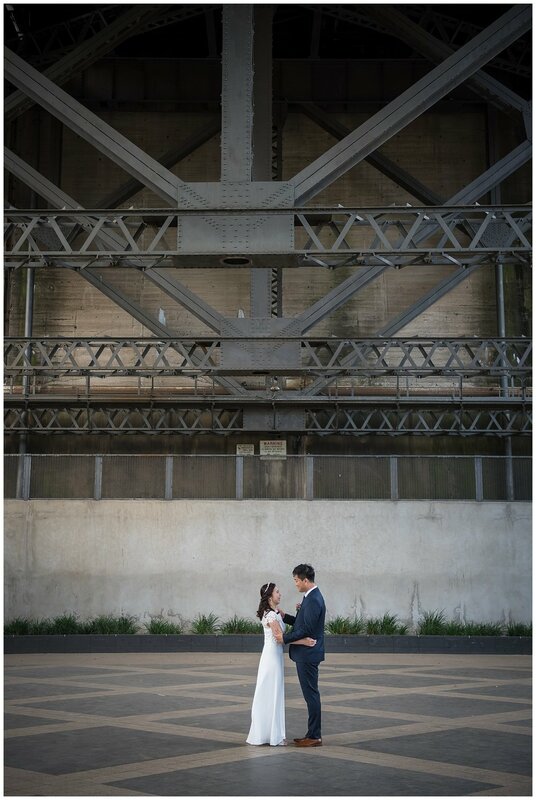 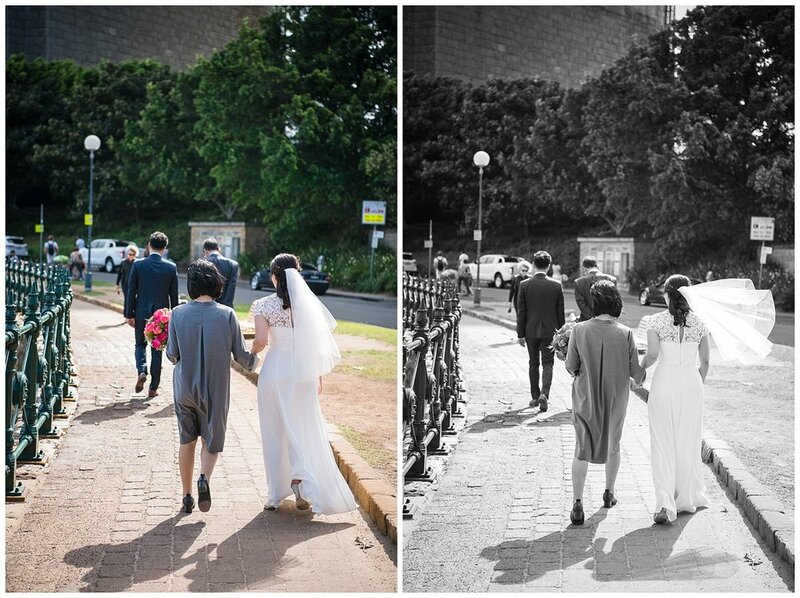 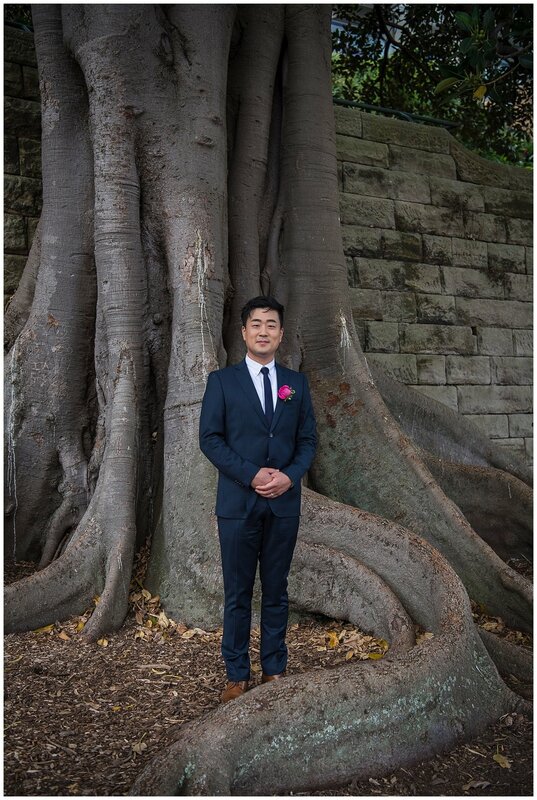 After their ceremony we got to walk around the foreshore with their family and I got to show off our beautiful city to them. 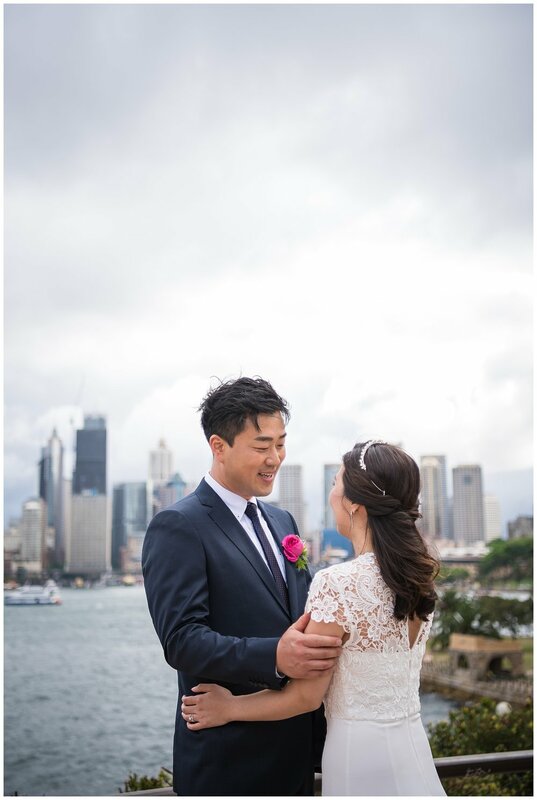 We also got our timing spot on, as there was s big storm rolling in towards the end of our portrait session, which made for some great sky shots.